Red eyed and jet-lagged, having just checked in at La Defense, we took the metro to Bir-Hakeim and walked the evening streets of Paris. 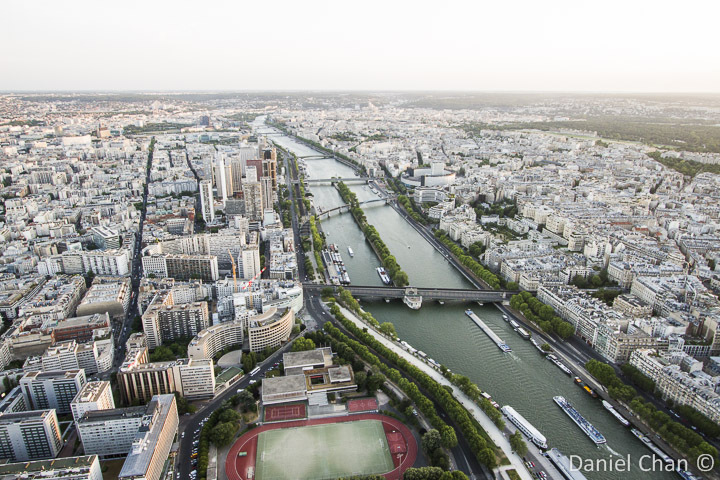 Summer in Paris means 16 hours of sunlight. It was around 4pm as we scurried along the avenues thronged with tourists and peddlers. Like a pilgrimage, scores of tourists marched the busy streets, all sharing a common destination. Turning a corner ,we stood there. Like a scene from the movies, the anticipation, a dream we could never imagined would have ever come true, was realized. 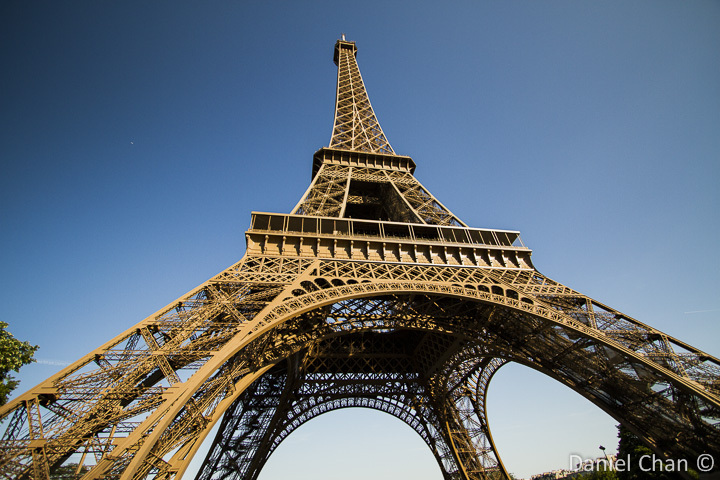 The Eiffel Tower in life size. This is reality. We were finally in Paris. 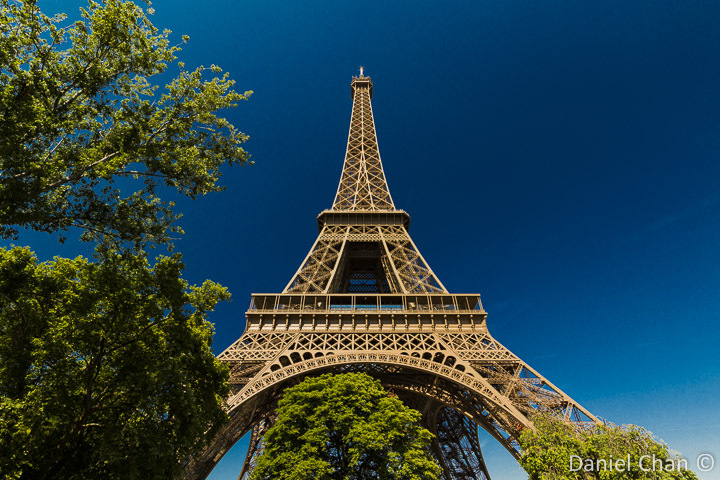 I remember looking at books and watching TV, stories about the Eiffel Tower when I was young. Being from Malaysia, Paris is a far distance away and the dream of seeing it in person, remained a dream; edged in the back of the mind, never visited and content to never bring to fruition, to remain just a dream and to keep in memory the pictures, only reflections and never lifelike. 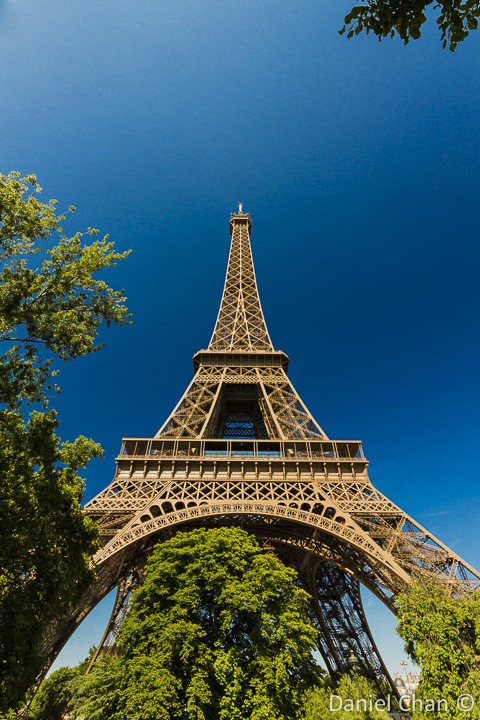 The Eiffel Tower is probably the most recognized tower in the world. 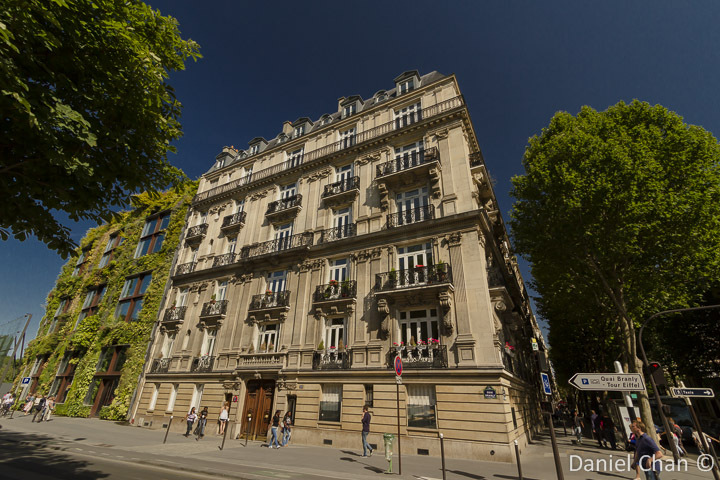 Built in 1889, it was said to be ugly by Parisiens, almost bombed down during World War II and the love-hate relationship continues on in Paris till this day. 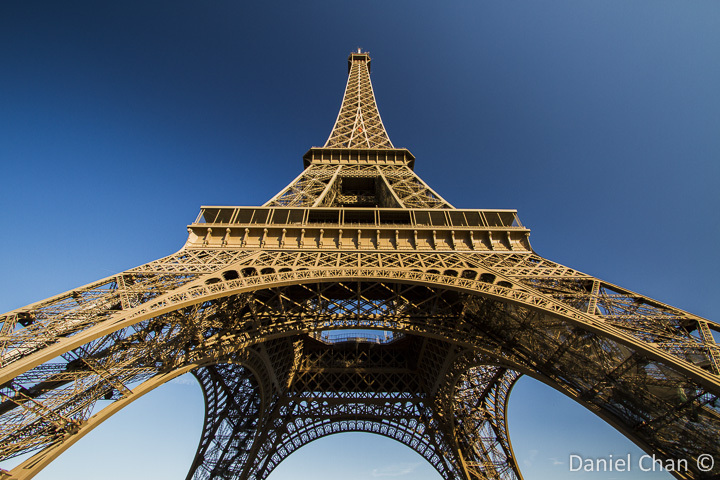 Towering 320 meters high above the streets of Paris, the Eiffel Tower is the most paid-visited building in the world. 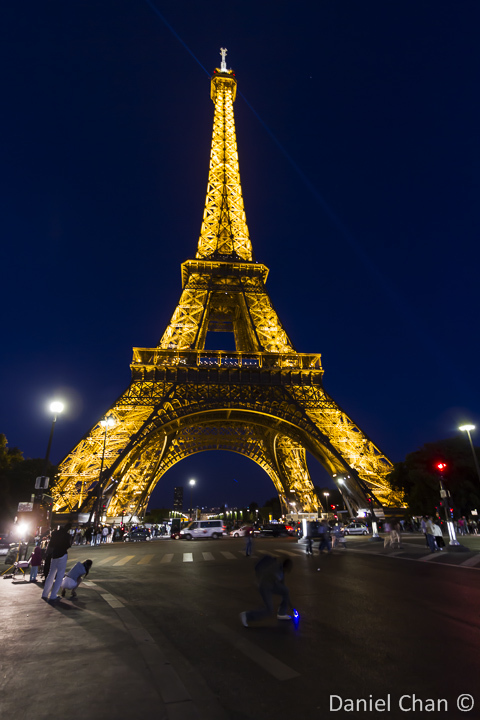 Around 200,000,000 people have visited the tower since its construction and am I glad to be counted as one of them. 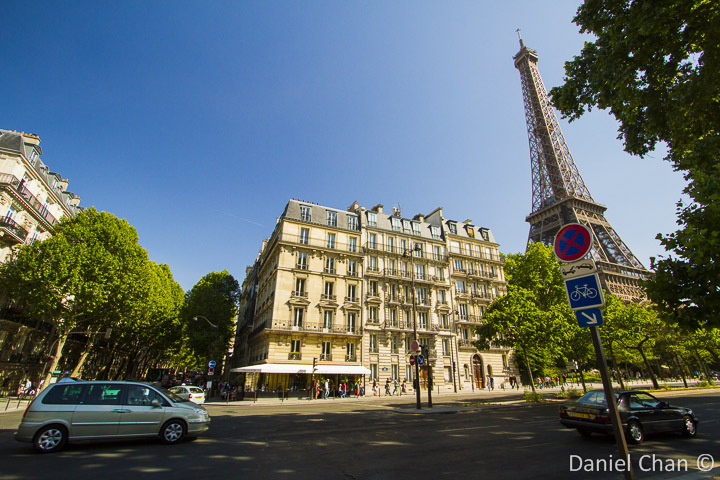 If you are coming from Bir-Hakeim, you will probably need to pass thru a small park. Walk slowly as you feel each step build up the anticipation of stepping on the site of the Eiffel Tower. The sun sets at around 945pm and you get a very long day to have fun and visit museums. For those of us that are used to 6pm sunsets, you will need to buy some time. Arrive later. 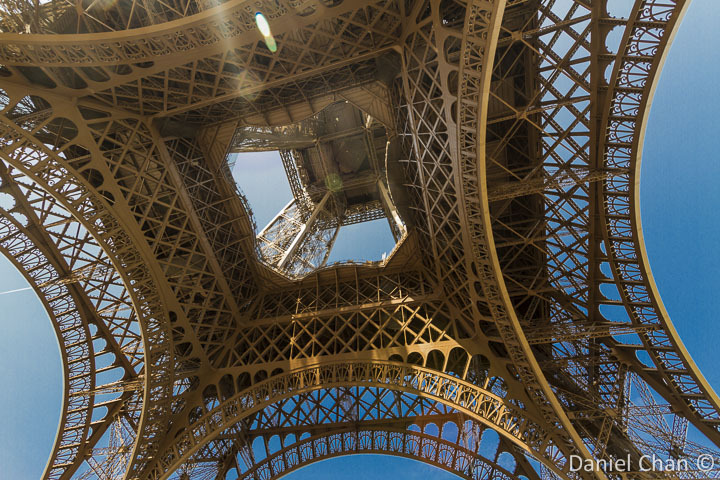 The view underneath the Eiffel Tower is magnificent. It is large and you feel how insignificant you are in the larger scheme of things. 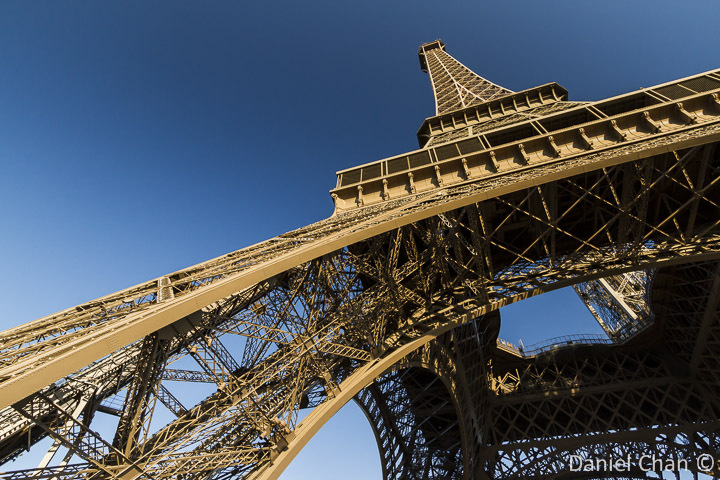 The area underneath the Eiffel will be filled with tourist and also street peddlers, illegally selling their trades. This is the view facing East. 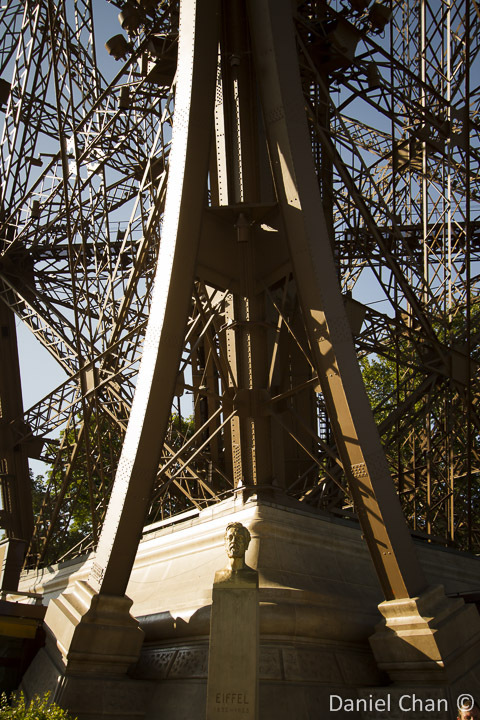 A bust in memory of its builder, Eiffel. You can see a lot of people lining up. It was not really cold. Around 16C which was a comfortable temperature for me. 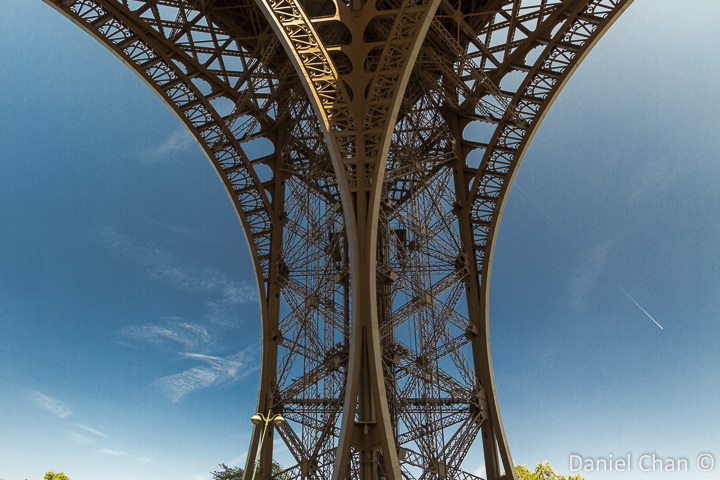 It was not easy to take a photograph of the Eiffel so near and thankfully for my ultra wide angle, at 16mm, was able to squeeze in as much as possible. The magnificent blue summer skies make photography a joy. 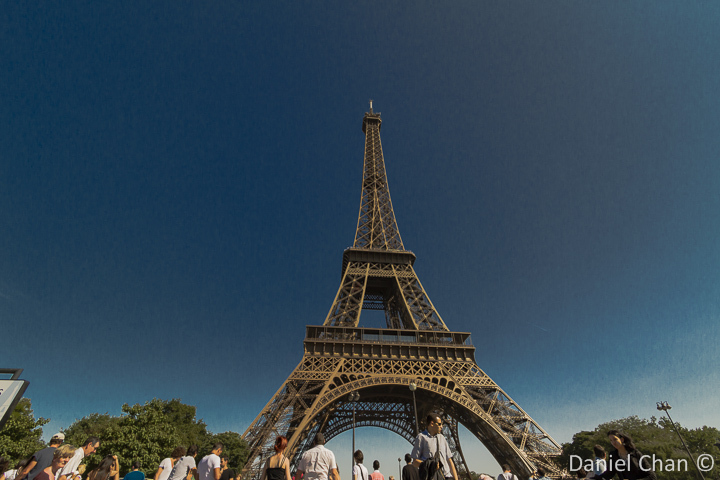 I have been told by many, about the long queues to buy tickets to go up to the Eiffel Tower. Some have lined up for 3 hours just to buy tickets. 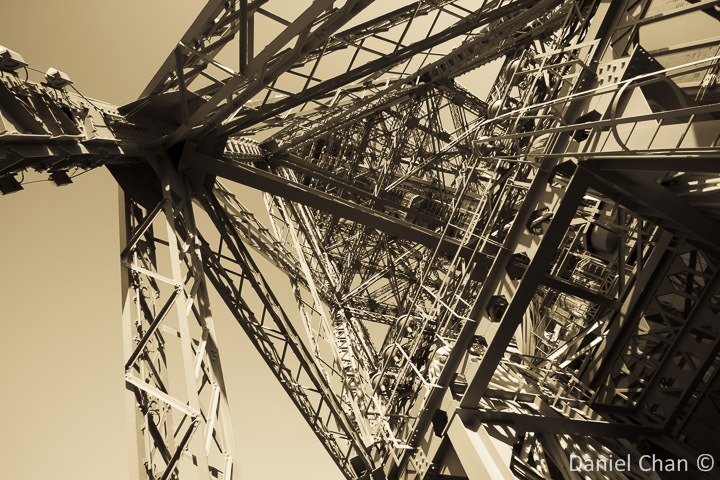 A month before going to Paris, we started researching about how to go up the Eiffel Tower. 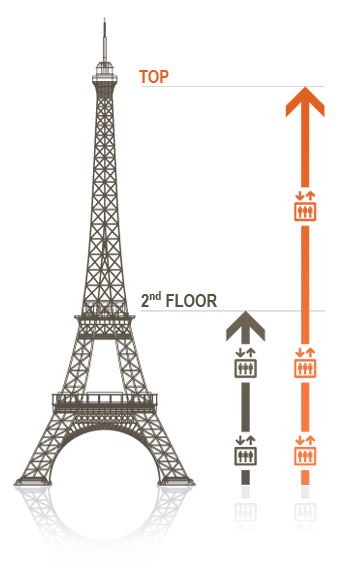 We found the Eiffel Tower website and understood the different floors. Some people opt to walk up the stairs and this is a long walk. There are elevators that will take you to the top. 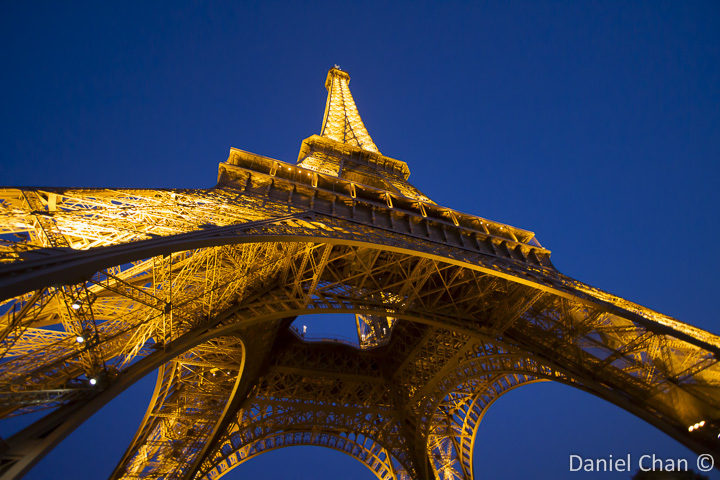 You can also have dinner on the Eiffel Tower. Go to the 2nd Floor first, then go up. You may book your tickets for 14.5 € online. Make sure you choose your dates and your times correctly. The reason why you want to get the right times, is that there is a separate queue for timed-allotted-purchases and all you need to do is show up at a separate line about 10 minutes before your ‘appointed’ time. Trust me, you WILL bypass a long queue line. 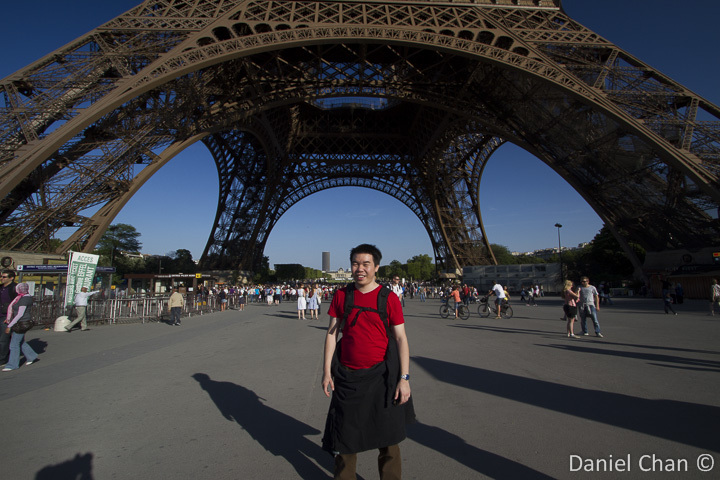 There are Eiffel Tower staff around the base of the tower. You may go up and ask them politely where to start lining up. When we were there, it was under a blue banner/flag. E-tickets that you must print out. Wanting to see the sunset, our tickets was at 8pm. 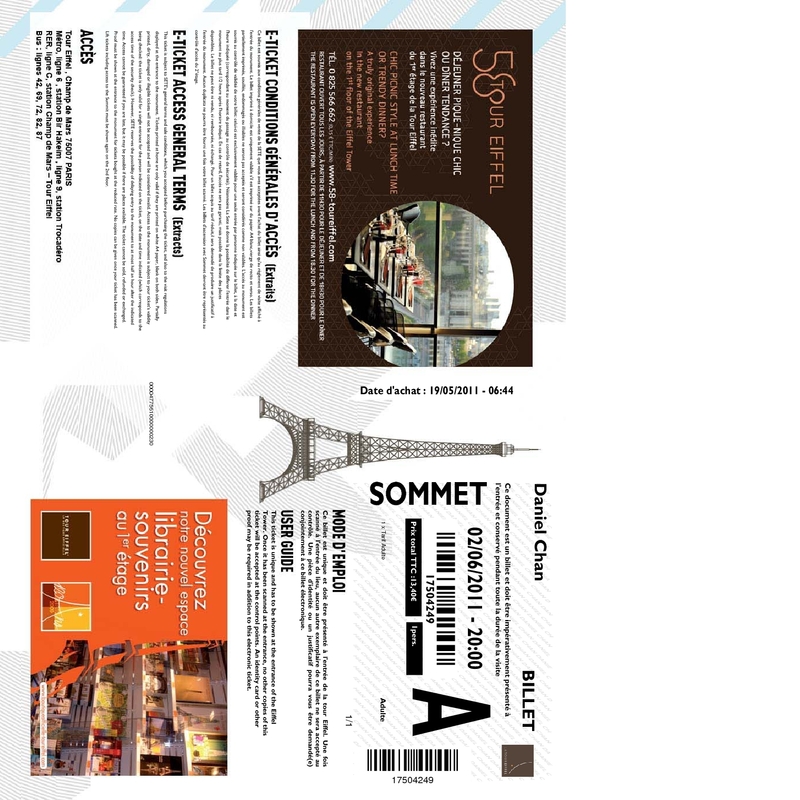 Do print out a few copies of this ticket as you can always misplace items when travelling. There is no refund or printer services and if you lose this, you are going to have to buy a new ticket. We went to have a Parisien meal to pass some time as it was around 6pm. At 745pm, we started lining up. There were about 20 people in front of us. The reserved line merges with the normal ticket lines. There is a security check at the entrance and you must put everything to pass. Similar to airport checks, water and flammables are not allowed. The rule of thumb is to arrive here light, with a camera and a small backpack. The first elevator takes you up to the 2nd floor. 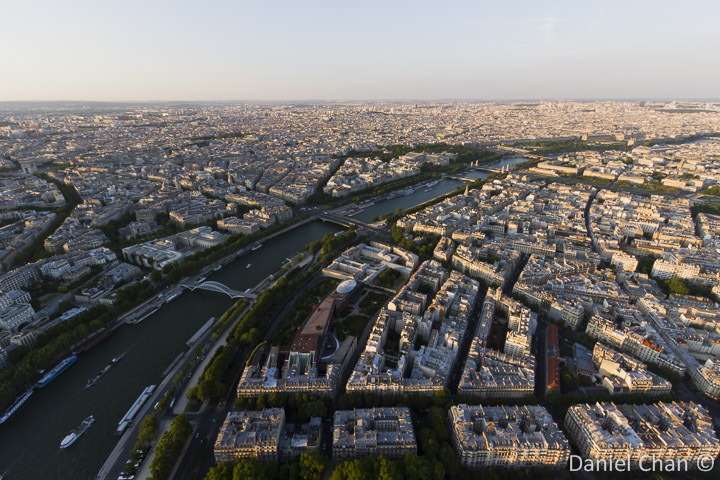 At this level, you can start to see the entire city of Paris. 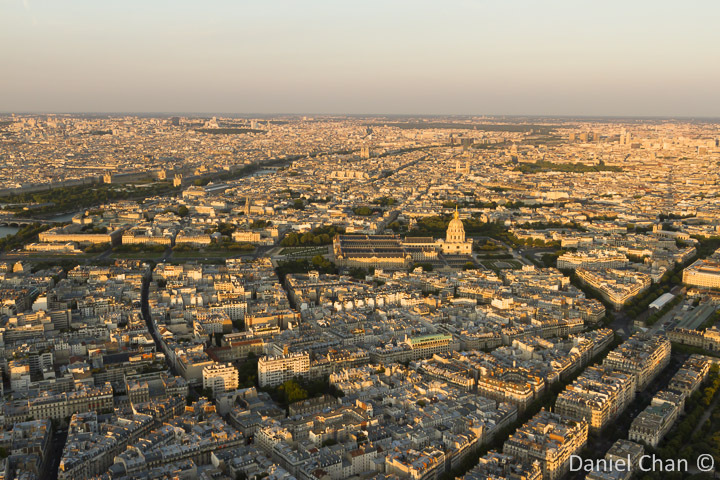 This is the view of Paris and you can see the golden dome of Invalides where Napoleon is entombed on the top right section. 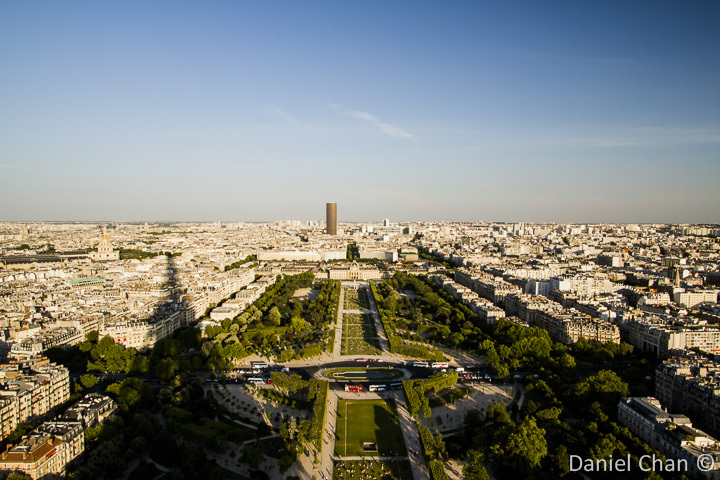 The view of Champs de Mars with Tour Montparnasse at the back. 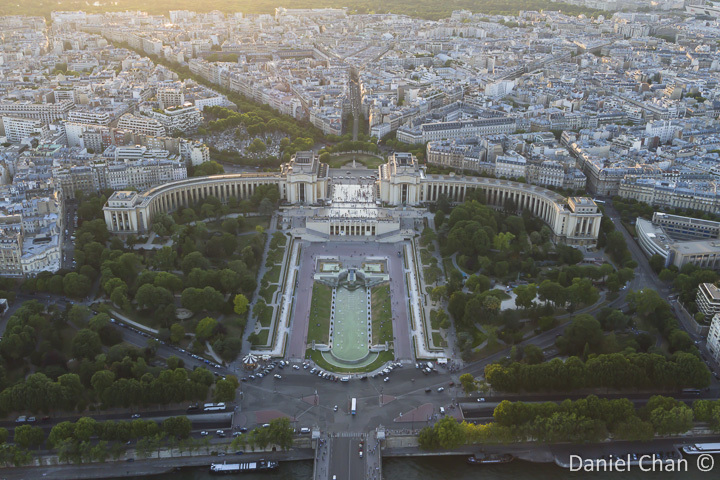 The view of Champs de Mars. This is facing directly East. 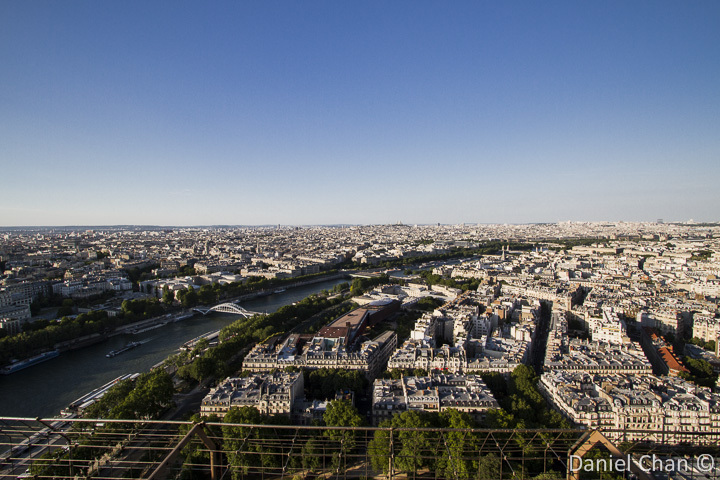 You can see the shadow of the Eiffel on the left of the photo. On the 2nd floor, there is a long line to queue for the elevator that bring you to the top. Expect to line up for about 20 to 40 minutes. 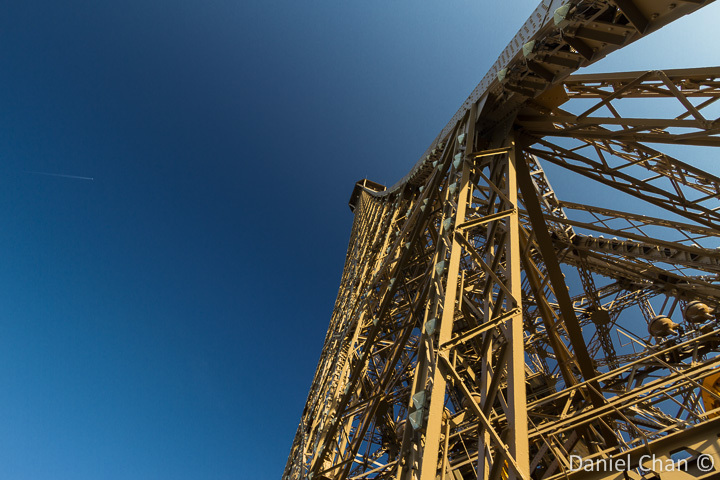 Whilst lining up, I decide to take a different perspective of the Eiffel Tower. This has become one of my most favorite shots. It takes time for people to guess what this shot is. I guess I managed to make the Eiffel Tower less distinguishable. This is the view from the top. It was 830pm and the ascent took a total of 30 minutes only. It is very windy and cold up here. Do bring a thicker jacket. 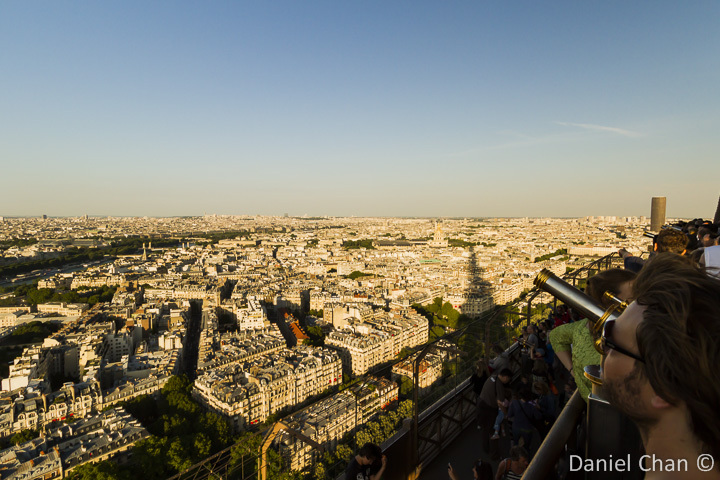 This is the view of Trocadero, a very popular location to view the Eiffel Tower. You are actually facing the West. The golden hour was upon us and the sun was setting. There will be a lot of people jostling for a view to take photos. Do stand here and wait. Sit down if you can and find an opening for your camera. The sun sets below the Horizon. 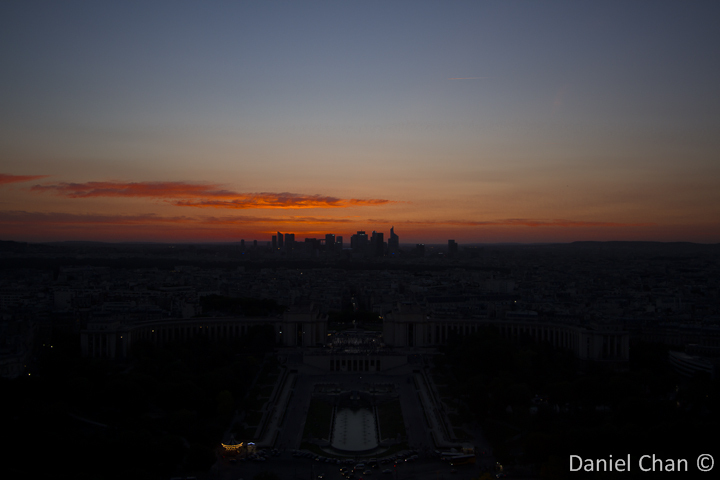 You can see the buildings of La Defense at the background silhouetted. As everyone was trudging down, it did not take as long to go down. 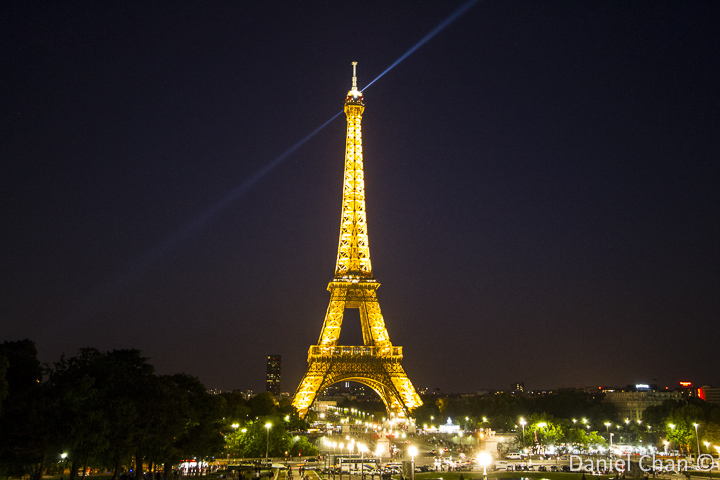 Do note that there is an Illumination show at 10pm where the Eiffel Tower starts blinking with many lights. 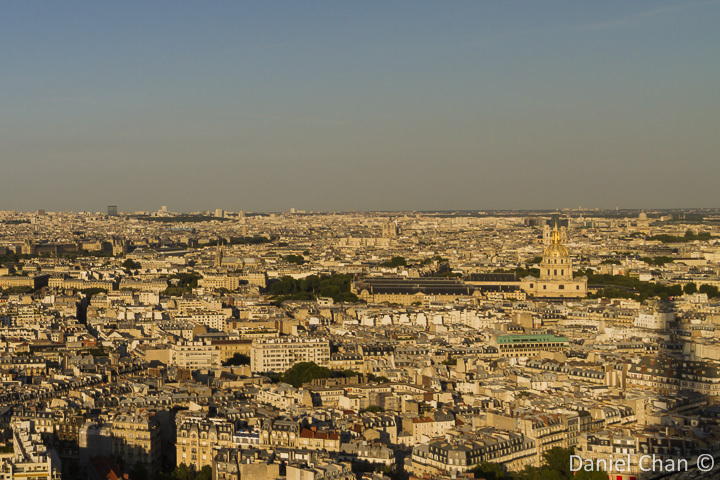 It was time to go home and we walked towards Trocadero to take the Metro back to La Defense. What a beautiful view. Book your tickets online. Early. Tickets sell fast. There is also a discount. Costs 14.5 € for adults. Arrive on time. No late entries. It is cold up top. 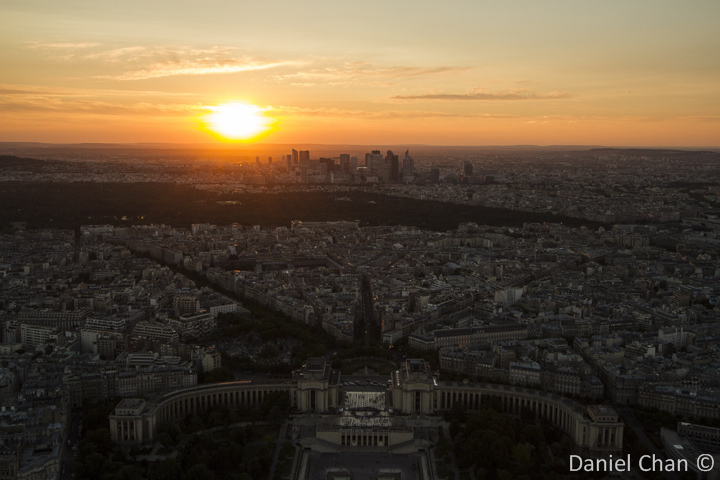 Check sun set timings in Paris for your dates. http://www.tour-eiffel.fr/en/preparing-your-visit/buying-your-tickets.html to book your tickets.